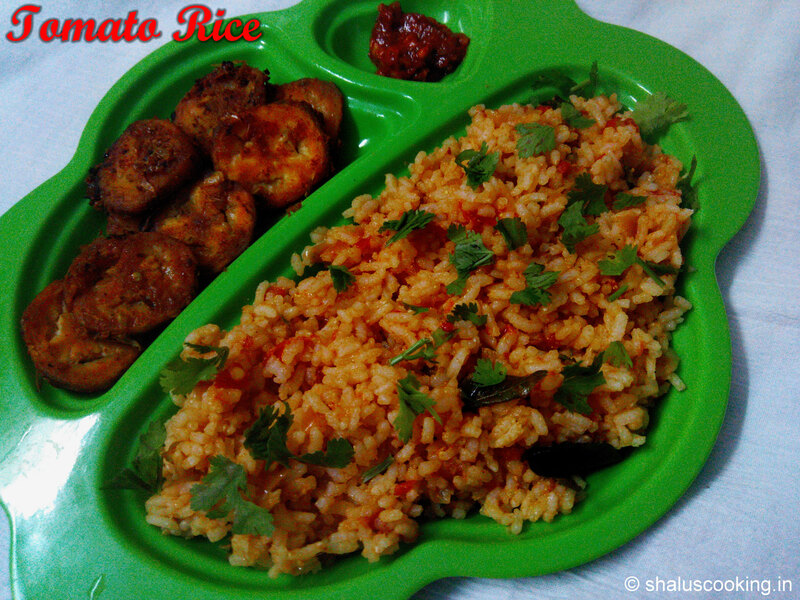 Tomato Rice - Thakkali Sadam, this is one of the easy recipes to make in the morning to pack lunch. This is not the basic method in which the tomato rice is prepared. I have made a slight variation to the regular tomato rice that we make. 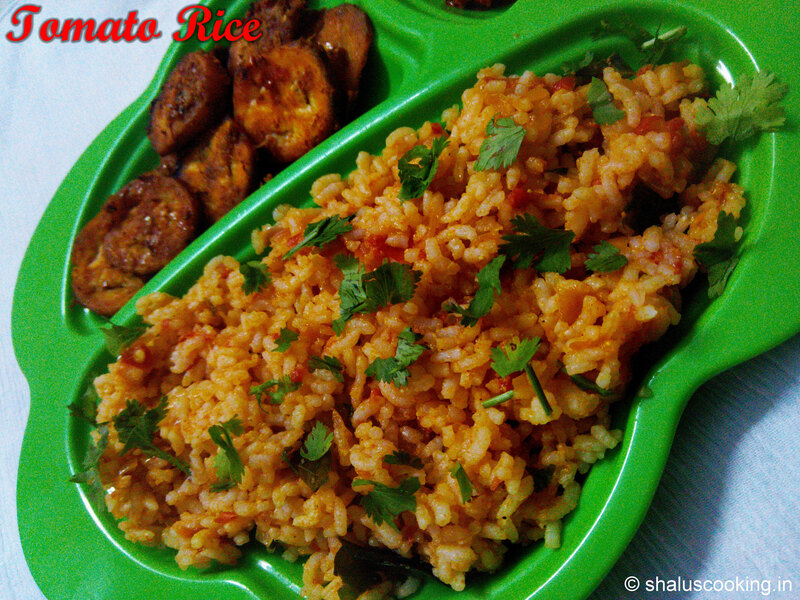 Refer the link Simple Tomato Rice to view the usual tomato rice recipe. I have added curd and few masala powders to this recipe to make it little different. We can also make tomato rice similar to biriyani. I will post that recipe too next time when I make it. Ginger Garlic Paste - 1/2 tsp. Green Chilli - 1 No. Chili Powder - 1/2 tsp. 1. Keep all the ingredients ready to make tomato rice. a. Finely chop the onion and green chilli. c. Keep the ginger garlic paste ready. 2. Heat oil in a pan and add chopped onions, green chilli and curry leaves. Saute till the onion turns transparent. Add ginger garlic paste and saute till the raw smell goes off. 3. Add chopped tomatoes and saute till the tomatoes become soft. Add chilli powder, turmeric powder, coriander powder, garam masala powder and salt. 4. Mix well and cook till the tomato mix becomes mushy. Add the curd and mix well. Keep cooking till all the water dries up and the mix becomes thick. At last, squeeze the juice of half a lemon and mix well and switch off the flame. 5. Add chopped coriander leaves and mix well. 6. Take steamed rice in a bowl, add the required amount of tomato mix and mix it well. Tomato rice - Thakkali Sadam is ready to serve. Serve with aplam or any fries.